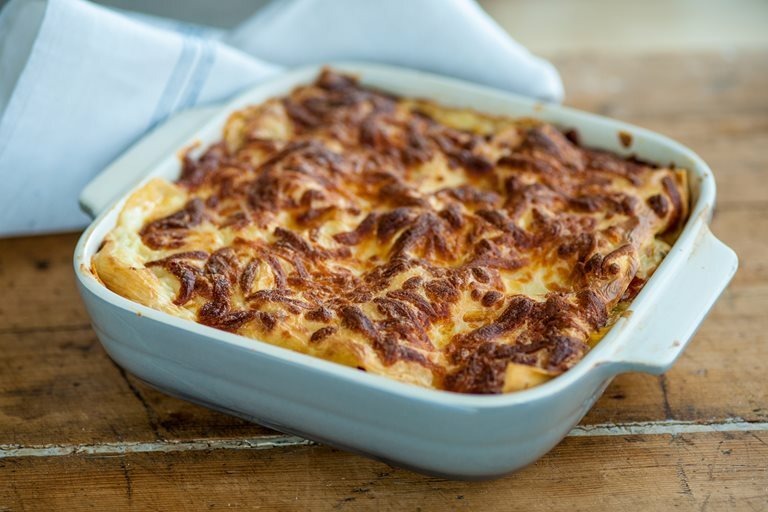 A vegetarian lasagne recipe is good to have on hand, and this one from Andy Waters would make an excellent dinner for Meatless Mondays. Tasty, vitamin-rich kale mingles with creamy ricotta and cherry tomatoes for a delicious dish well-suited for adults and kids. Serve this lasagne on its own, or have it with fresh salad or homemade garlic bread.